A veritable explosion of chocolate. 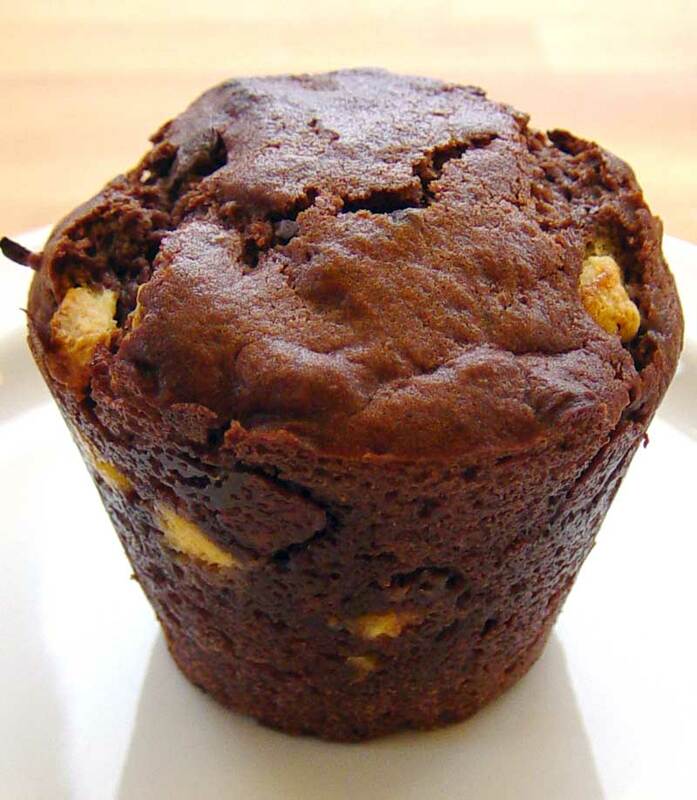 A muffin that contains three kinds of chocolate filling. Dark, milk and white. The various chocolates makes this recipe tastes completely different than a normal chocolate cake. And then of course there is the orange to give it a little acidity. 2½ dl (1 cup) yogurt, kefir or similar fermented milk. 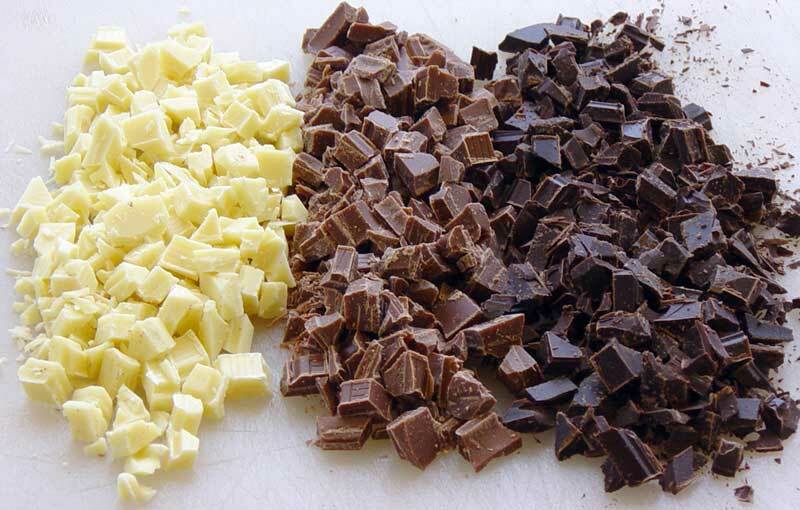 Chop the chocolate coarsely. ½ x ½ cm (1/4 x 1/4 inch) pieces, put it in with the dry ingredients. Grate the orange skin. Squeeze the juice out of the orange. Mix the two parts into the wet ingredients. Pour the batter in muffin pans that are large enough that you can get 12 pieces out of it. Bake at 200°C (390°F) for 20 minutes. Cool for at least 20 minutes before eating.